Thank you for the beautiful comments on Mother's Day! I went to breakfast with my daughter and two granddaughters. While we waited we enjoyed a scone and a delicious cup of coffee. We shared Eggs Benedict which is my all time favorite and we visited about the school year coming to an end soon and planned some of our summer activities. I'm looking forward to having the girls spend some quality time with me this summer. 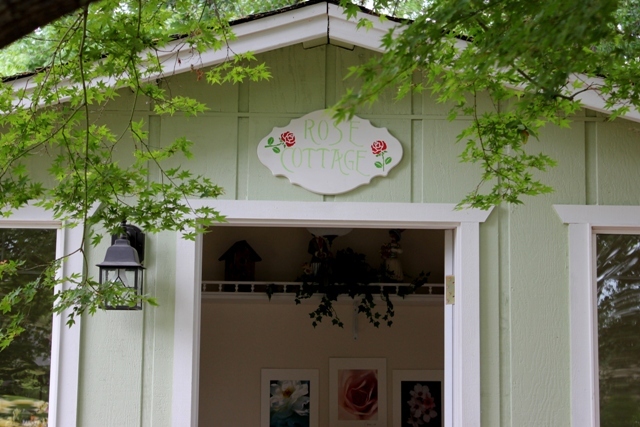 The idea was to build a potting shed, but the 'Rose Cottage' is now a flower arranging shed and garden storage shed. Sure it's a shed. 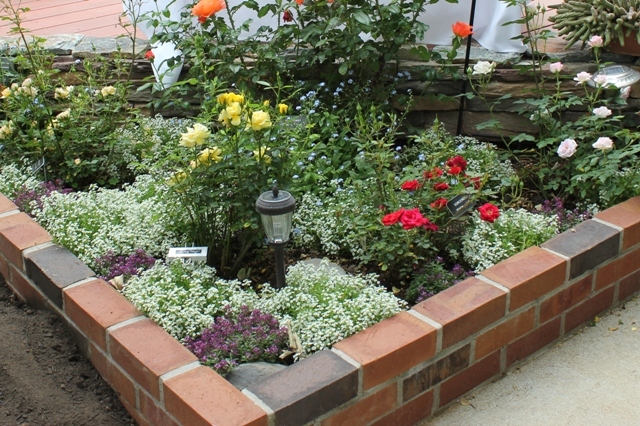 As I toured the garden I noticed a mixture of annuals and perennials. 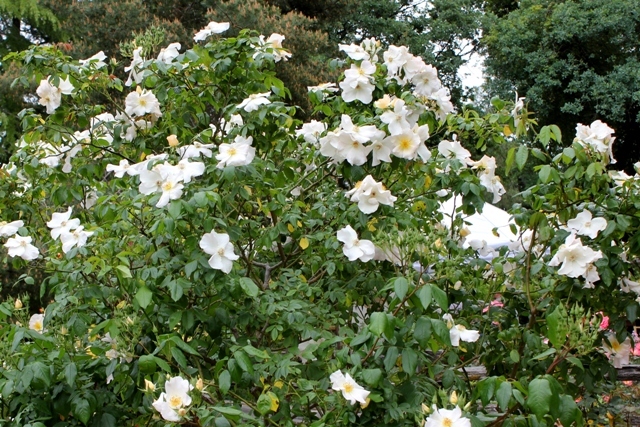 The weather was a perfect 77 degrees and slightly overcast.﻿ The visitors and flowers were all very happy. A Wishing Well. Oh! how cute. I love this photo with the water flowing out of the faucet. 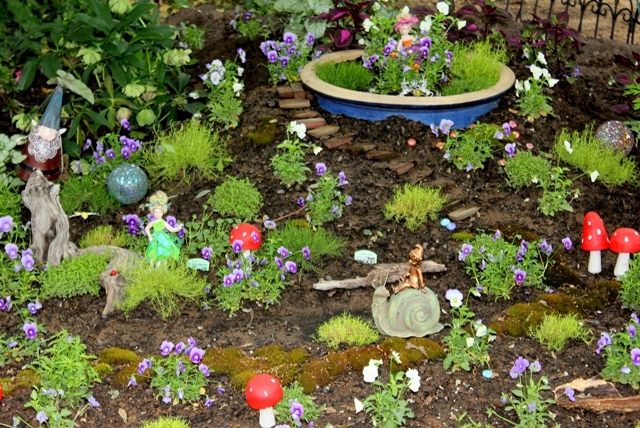 Now isn't this the cutest fairy garden. I just love the fairies and the red mushrooms are so whimsical. I want this table and chairs. 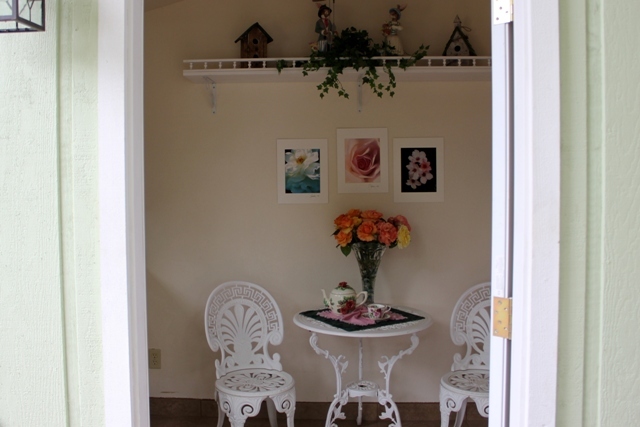 The 'Rose Cottage has a beautiful tile floor and plenty of storage space under the arranging counter and behind the door. 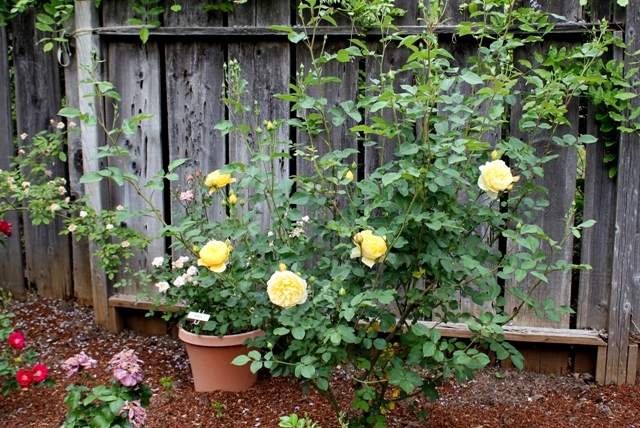 This garden is considered a shade garden. 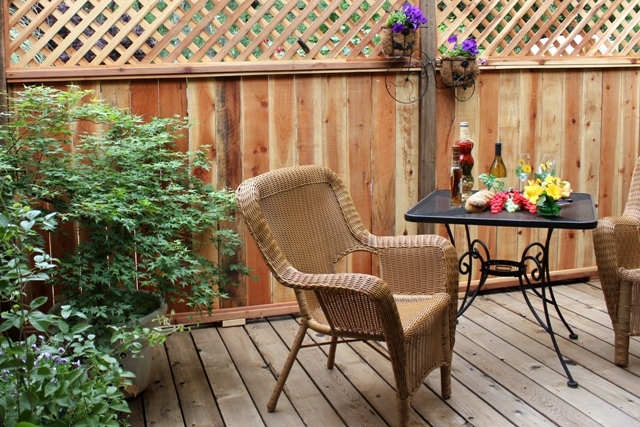 With the valley heat during the summer this garden is a beautiful and cool space to entertain family and friends. The grounds were planted around 1977 and 9 weddings have been held in the garden over the past 35 years. Another wonderful space for entertaining. 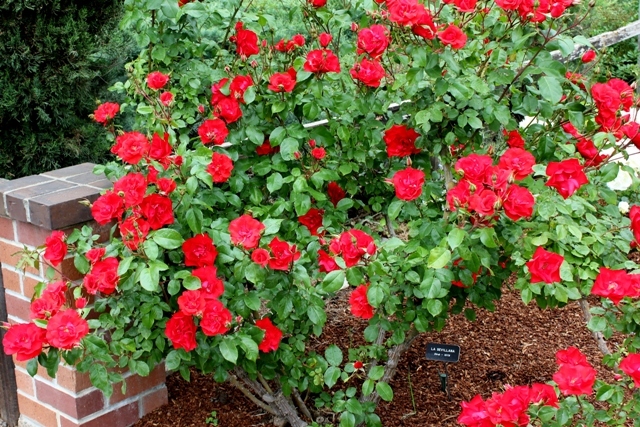 My goodness~ I certainly enjoyed your company on "A Day in the Rose Garden Tour" now I want to buy all those roses for my yard. LOL!! Please join me while I visit some wonderful parties. You must come over and help me out in my yard today. I just love all the beautiful pictures you have shown. Just lovely...Thank you for taking us along on the tour with you...It is hubbies dream for us to one day have cottage garden other ppl would like to visit and tour....Great inspiration. 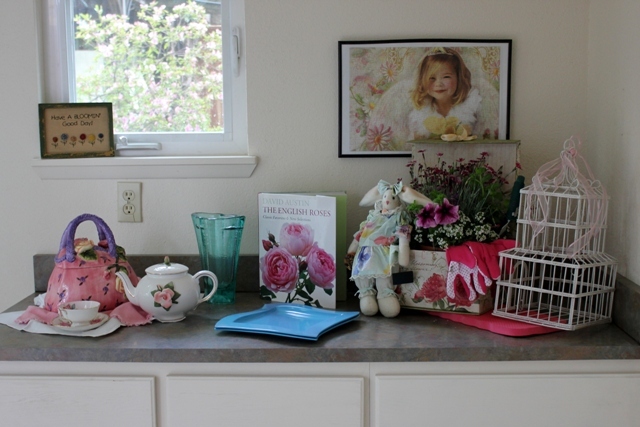 Garden tours are always fun and how nice to have the flower arranging shed too. Great tour! So many pretty roses. Thanks for sharing your day. 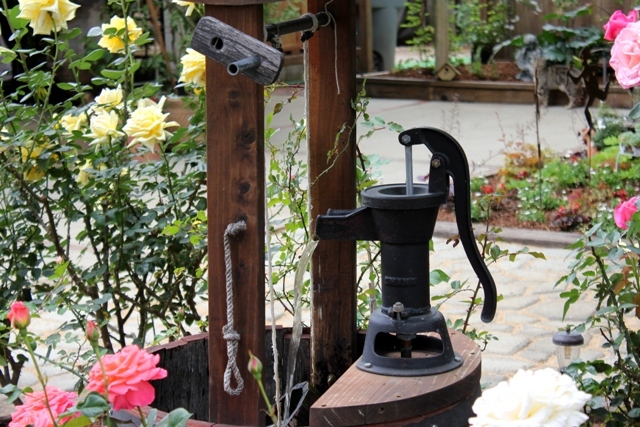 lovely place, love that hand-pump...quite a rare thing to see in modern homes..love!! Beautiful garden! Thank you so much for sharing it with us! Thank you for sharing this. 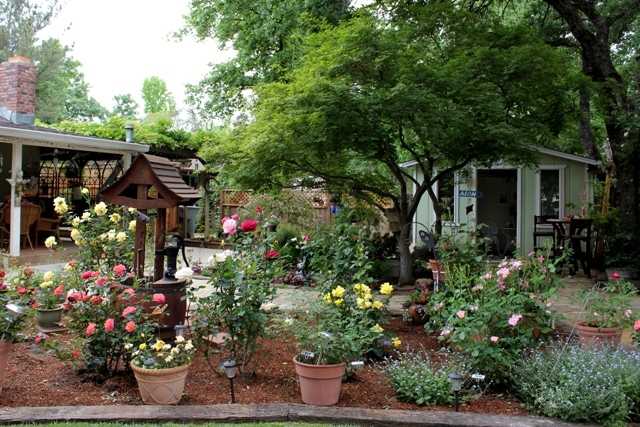 What a beautiful shed and rose garden. Absolutely gorgeous post. I loved each and every one of these amazing images! Oh thank you! Your photos have given me so many ideas! Loved spending a few minutes in this garden! Thank you so much for linking up Betty!! That shed is just beautiful as is the rest of her garden. 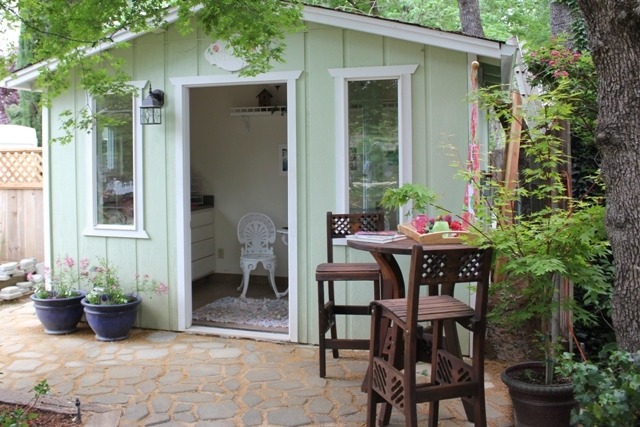 I want a shed too! Lovely garden full of delightful and interesting features. I love the little well. Thank you for sharing. What a great garden tour, so many different points of interest! 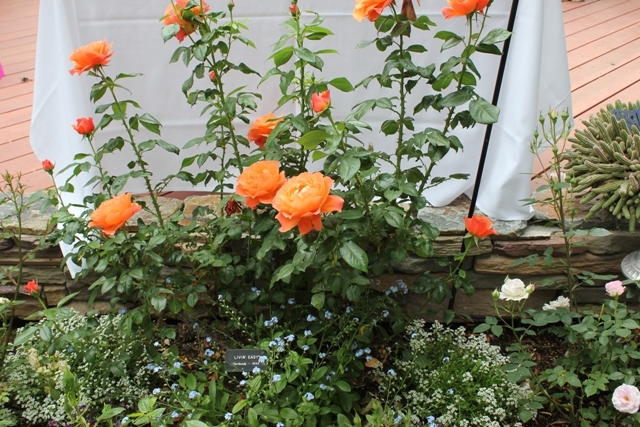 Thanks so much for linking up to the garden party. A truly breathtaking garden. I would have loved being with you on this tour. Loved the tour! Thanks for taking me along. The flowers and cottage was gorgeous! What lovely gardens here...and that shed! Beautiful gardens. Love the shed. Beautiful roses. 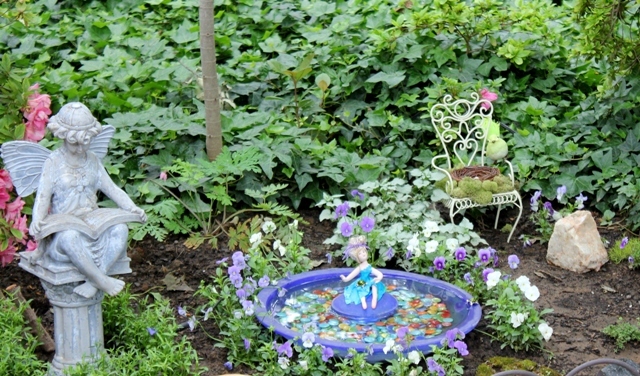 Your Garden Pics are enchanting!! I am so excited that Gardening season has arrived in My neck of the woods! Just beautiful, and I'm like you, the fountain picture is gorgeous! 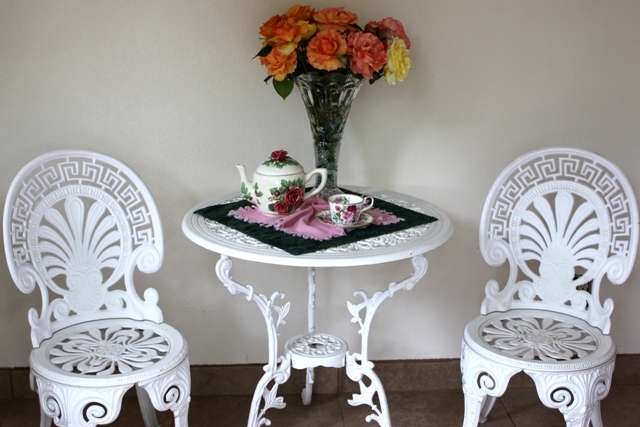 I'm visiting from The Little Round Table, and I "followed" your blog - thanks for sharing with us! Love the fountain. The whole garden is just beautiful. 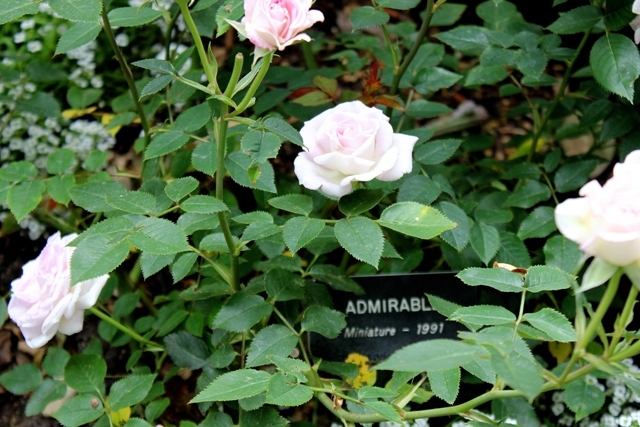 oh your roses are amazing!! and who wouldn't love to have the chairs!! I have some like it...they are about 10 inches high though. pfft! 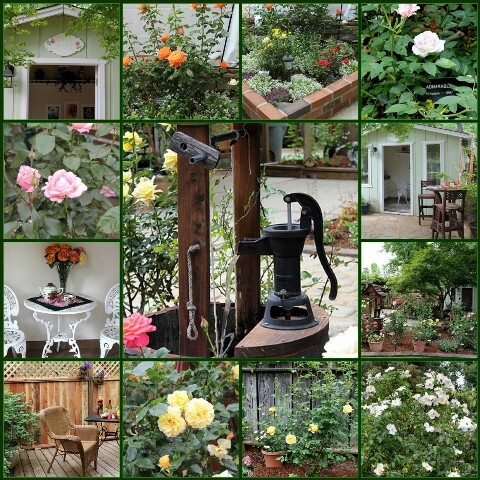 Beautiful roses, cute cottage. Love the water feature! What's On Your Table Top? Paula Deen "I Love You"